Gone are the days when people would use film cameras to capture their precious photos as nowadays, the stakes have changed almost instantly. A lot of notable digital camera manufacturers have been releasing digicams with all sorts of features that most photo aficionados are looking for. Some cameras may be inexpensive which targets users who do not want to miss the fun of capturing moments, while other may be too expensive which are suited for professional use. But have you ever wondered what the most expensive digital camera in the world is? If you want to know what the most expensive digital camera is, then continue reading. 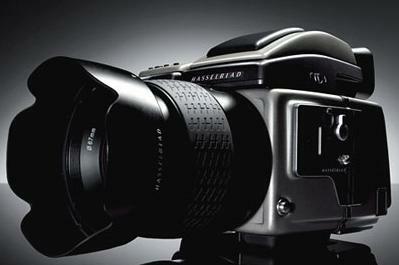 Well, the most expensive digicam on earth belongs to the Hasselblad H3DII dSLR camera. Oops, it’s not designed with gold or silver, but this guy here can surely satisfy the demands of both general and specialist photographer. The device offers a high quality large format image and video capture and is combined with a higher level of point-and-shoot features. Moreover, it is compatible with the H-system lenses which are capable of shutter speeds up to 1/800 seconds. The cam also features the Global Image Locator which automatically records the exact location at the precise moment of the image capture. The Hasselblad H2D has a matrix of 39 megapixels and this will cost a well-financed photographer to shell off a whooping price of about $40, 000 for this gadget.